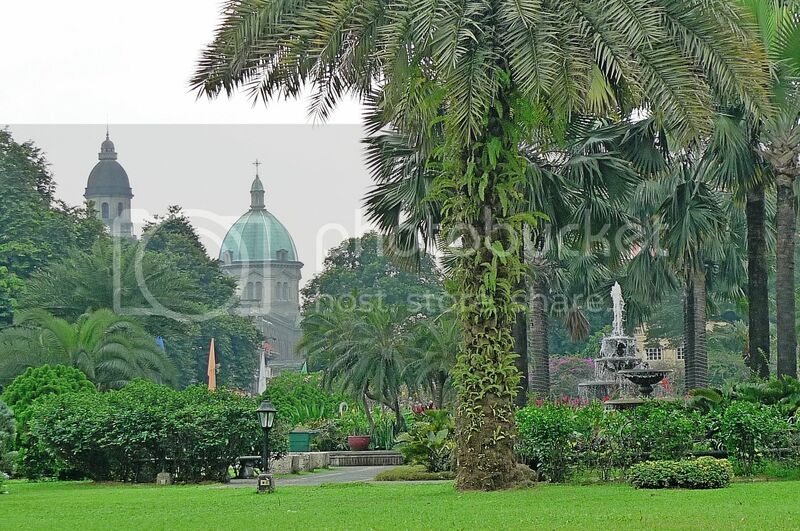 After leaving the Manila Cathedral, I decided to walk around looking for the next interesting place to visit in Intramuros. As I did not have a map with me, I did not know where to go. 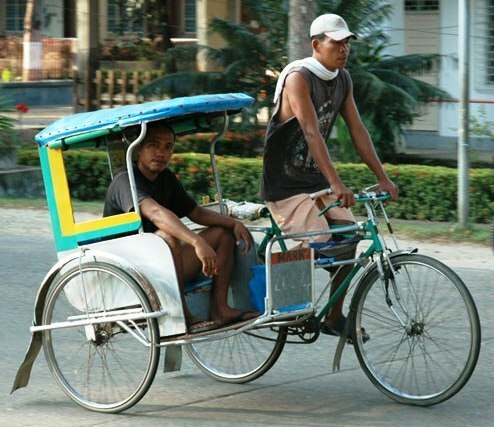 Since Intramuros was quite large, I wondered if I should flag down a pedicab which looks like this. 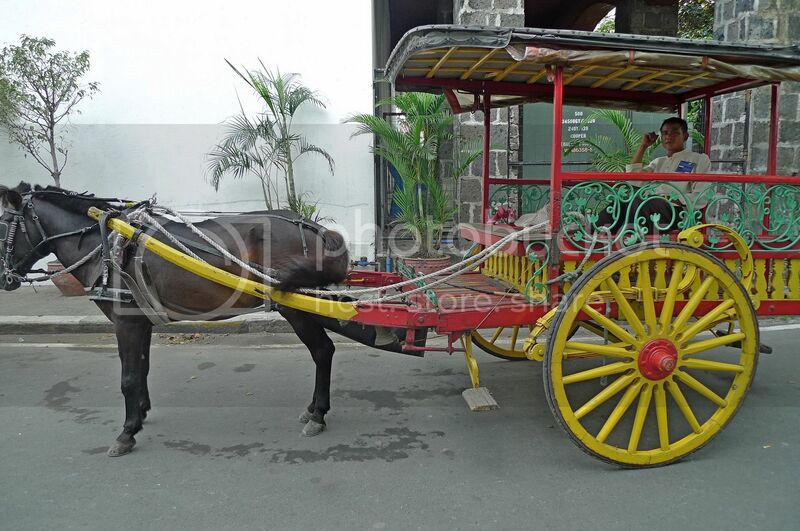 Or get onto a horse drawn carriage known as kalesa. 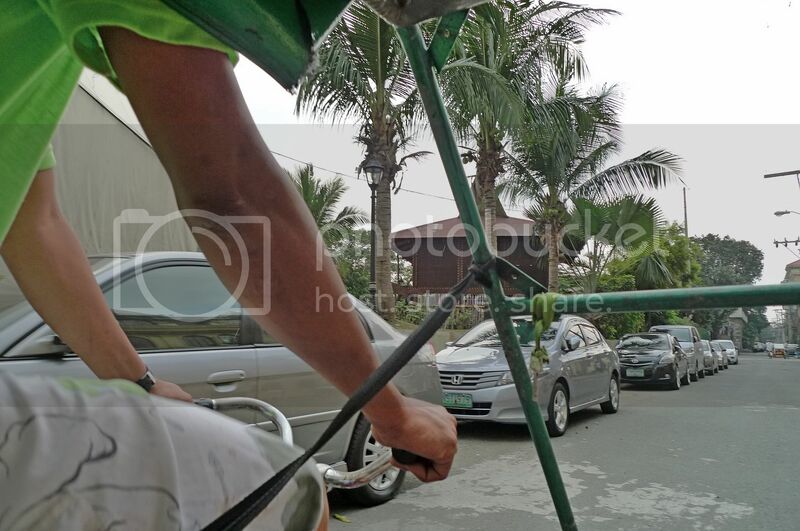 Of course riding a kalesa would cost more, but it would be more comfortable compared to a pedicab. Well, I did not have to decide long, for having just walked a few metres, a pedicab driver, probably in his early 30's, approached me. My immediate natural reaction was No! I don't need a pedicab! He offered me a ride for 150 pesos (RM10.50) per hour, promising to bring me around places of interest in Intramuros. I knew that was too expensive since I have done my homework before coming to Manila, so I told him I would accept if he reduce the price to 80 pesos. He refused so I said bye and walked off. A moment later, he quickly rushed up to me, and offered 120 pesos. After some bargaining, we agreed on 100 pesos (RM7) per hour. I thought it was a pretty good price, and it was, until I realised that I was still on the losing end which you will know why later in this post, so keep reading. It was not really comfortable sitting in the pedicab. I thought that the roof was a little too low for me. I am not a very tall person, so I really wonder how people who are taller than me would be able to sit in that pedicab! 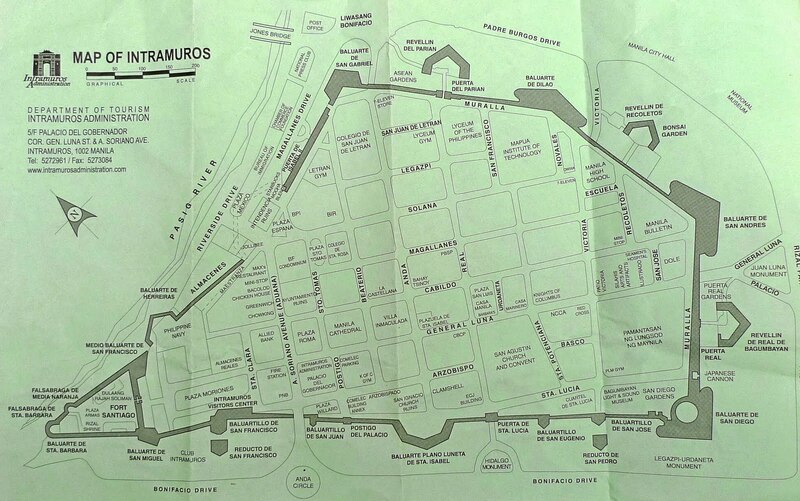 The first place the pedicab driver took me was Fort Santiago. This was a shrewd move by the pedicab driver and I'll tell you why later. 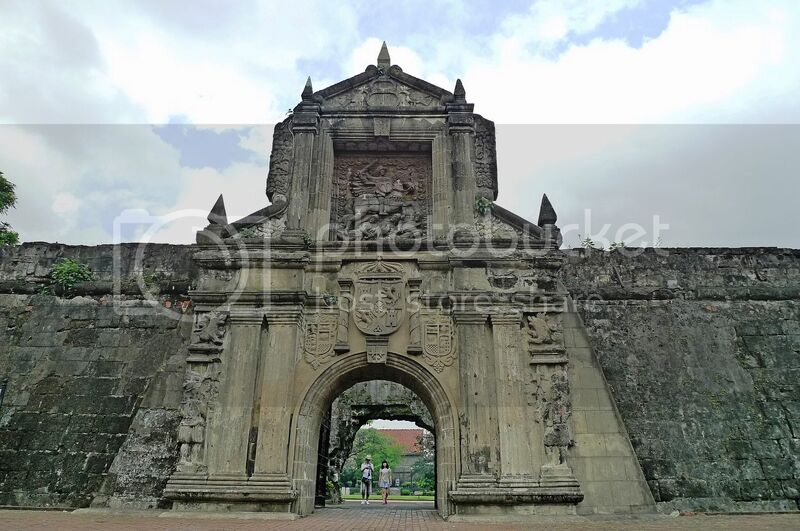 In fact, the fort is part of the structures of the walled city of Intramuros and is one of the oldest Hispanic stone fortresses in the Philippines. 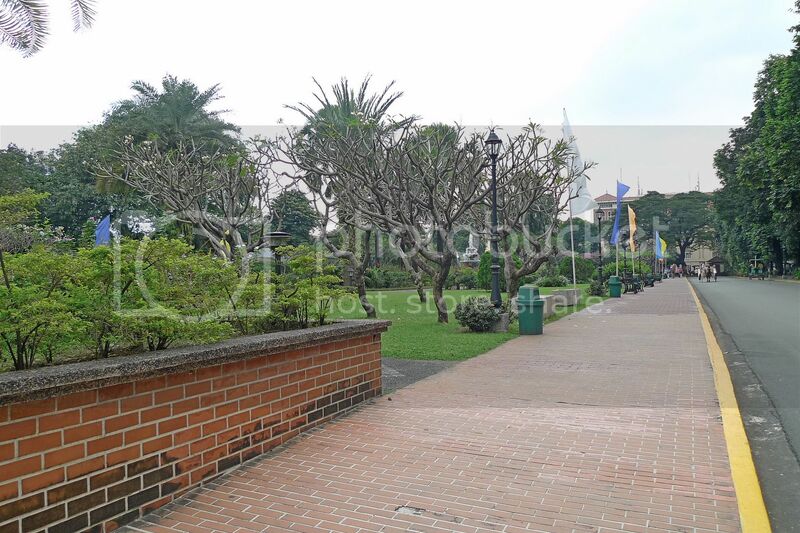 Fort Santiago is a tourist attraction in Manila as I could see a number of foreign tourists mainly from Korea and Western countries. It is open daily from 8am - 6pm. My pedicab driver said he would wait for me outside while I tour the place. After paying for my entrance ticket, I walked along this road which was next to a large garden or park called Plaza Moriones. 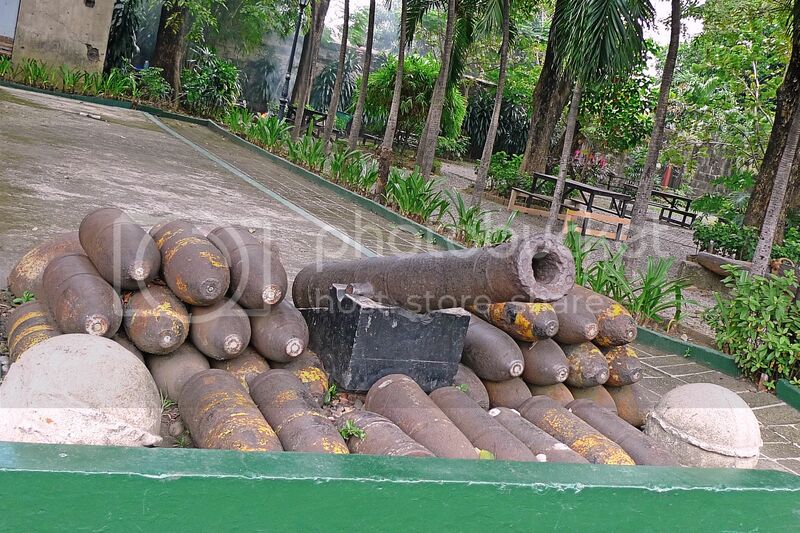 And then I came across a cannon and shells! 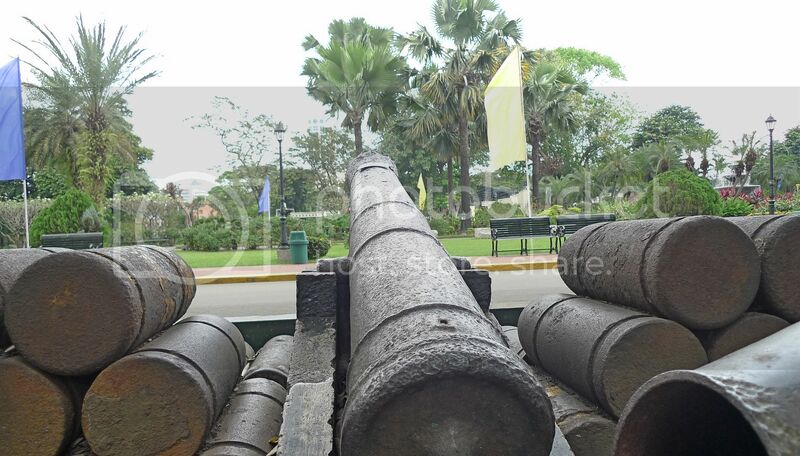 It's not everyday that I see cannon and shells, although I would be seeing more cannons during my tour of Intramuros. 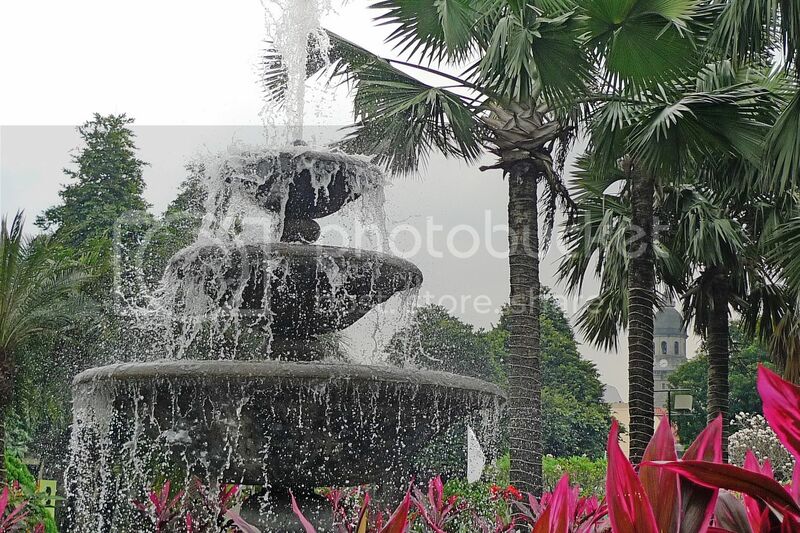 From here at the Plaza Moriones, I could see the green dome of Manila Cathedral. Soon I reached the end of the garden. There was a tall flagpole here. 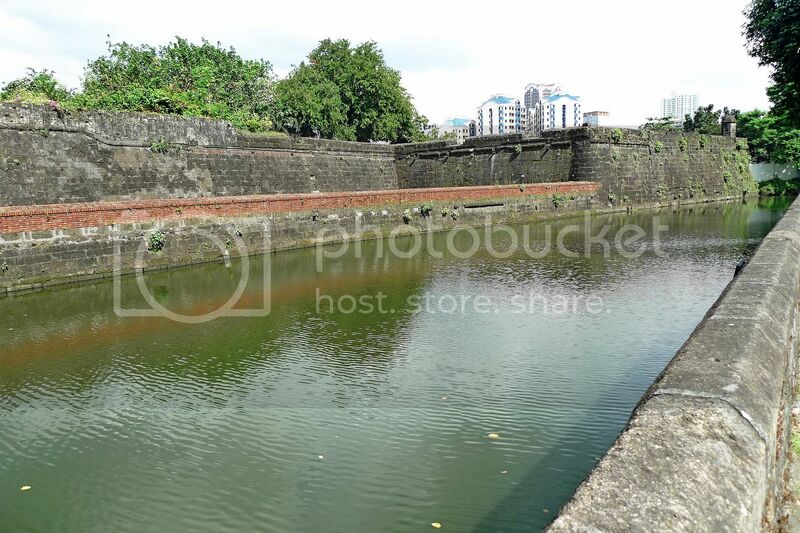 Right opposite this flagpole was a moat that separates Fort Santiago from the rest of Intramuros. 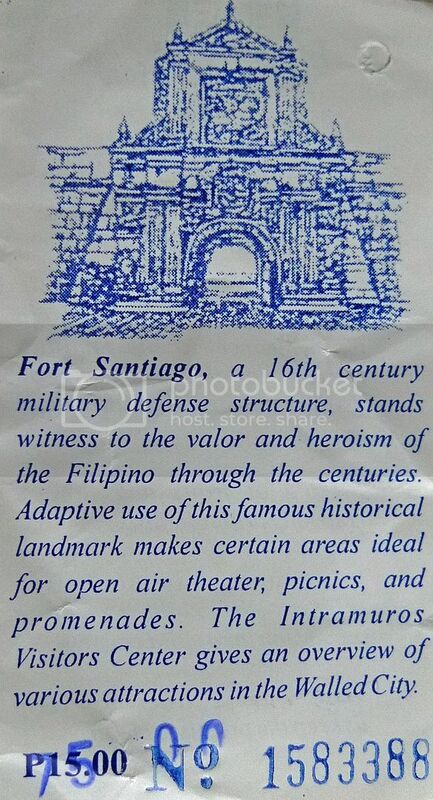 Fort Santiago was once a military defence fortress for the Spanish Government which colonised Philippines in the 16th century. 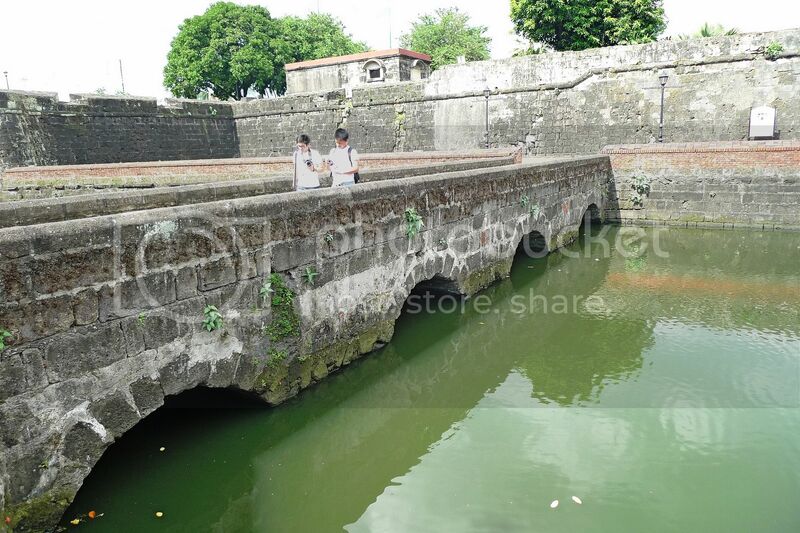 It was also the place where Philippines' national hero, José Rizal, was imprisoned before his execution in 1896. There was a bridge across the moat. 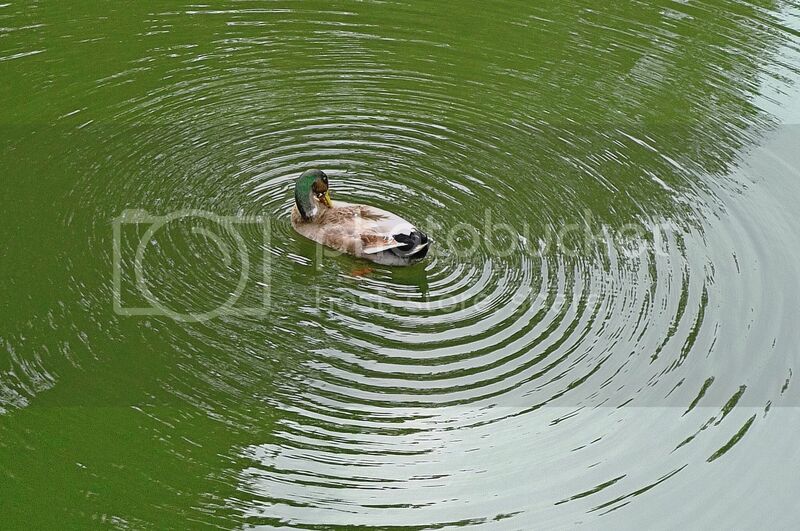 As I was crossing the bridge, I saw a duck swimming in the waters of the moat. 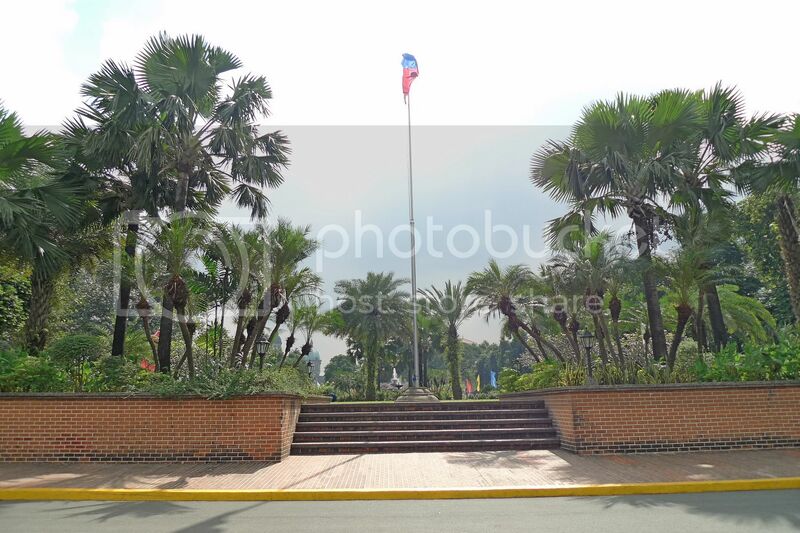 And then right before my eyes stood the tall majestic looking entrance into Fort Santiago. I was about to lose myself in the rich history of Fort Santiago and learn for the very first time about the man considered as the greatest Filipino patriot of all time - Dr. José Rizal.